Despite the popularity and influence of the three Matrix films, they didn’t enjoy the greatest treatment on DVD. The original DVD for the first flick was terrific in its day but seemed less substantial by later standards, while both the second and third movies featured releases with surprisingly ineffective extras. Enter The Ultimate Matrix Collection, a deluxe 10-DVD set that includes scads of elements related to the films. For full information on the individual movies, please consult the separate reviews of 1999’s The Matrix, 2003’s The Matrix Reloaded, 2003’s The Matrix Revolutions, and 2003’s The Animatrix via the links above. Please note that the picture and sound grades found at the top of this article represent an average for the three movies and Animatrix. Though this article covers the boxed set as a whole - which is the only possible way to purchase any of the movies – here I want to concentrate mainly on the package’s eighth through tenth DVDs. Called simply “The Matrix Experience”, this set includes a wealth of Matrix information. 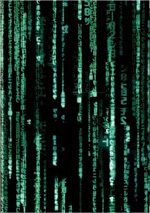 Called The Roots of The Matrix, DVD Eight includes two documentaries. Return to the Source: Philosophy and The Matrix lasts 61 minutes. It includes movie clips and interviews with writer and philosopher Ken Wilber, Princeton University Professor of Religion and African-American Studies Dr. Cornel West, City University of New York Associate Professor of Philosophy Iakovos Vasiliou, University of Hartfordshire Professor of Philosophy Mark Rowlands, UC-Berkeley Professor of Philosophy John Searle, Florida International University Assistant Professor of Philosophy Christopher Grau, philosopher TJ Mawson, Director of the Center for Consciousness Studies Professor of Philosophy David Chalmers, Rutgers University Professor of Philosophy Colin McGinn, University of Central Arkansas Assistant Professor of Religious Studies Donna Bowman, Ithaca University Associate Professor of Philosophy Michael McKenna, Kings College Professor of Philosophy William Irwin, University of Delaware Professor of Philosophy Richard Hanley, Dartmouth College Professor of Philosophy Julia Driver, author Rudy Rucker, author and screenwriter John Shirley, writer Bruce Sterling, Oregon State University Fellow of Religion and Culture Dr. Rachel Wagner, author Christopher Vogler, Hendrix College Assistant Professor of Religion Frances Flannery-Dailey, University of Edinburgh Philosopher and Cognitive Scientist Andy Clark, director Peter Chung, software consultant, philosopher and writer Peter B. Lloyd, Wheaton College Assistant Professor of Philosophy John Partridge, UC-Berkeley Professor of Philosophy Hubert Dreyfus, and Tufts University Professor of Philosophy Daniel Dennett. They go over some general background on philosophy and its use in science fiction, various impressions of The Matrix, religious and mythological influences and issues in the flicks, symbolism and thematic concepts, historical philosophy and connections to the movies, and interpretations of different parts of the stories. This is what the three audio commentaries with Wilber and West should have been: a rich and illuminating discussion of the components and their meaning. The program provides a nice look at the philosophical background; whereas the commentaries largely failed to explain the different theories, that doesn’t happen here, and we find a nice synopsis that helps us grasp the films’ ideas. The show manages to avoid becoming bogged down as it communicates the ideas well and creates a very compelling and intriguing exploration of the movies. I won’t say this piece totally substitutes for the three commentaries, but I feel I learned a ton more in the hour of “Roots” than I did across seven hours with West and Wilber. Called The Hard Problem: The Science Behind the Fiction, DVD Eight’s second documentary runs 61 minutes as well. We find remarks from Andy Clark, Peter B. Lloyd, Daniel Dennett, Rudy Rucker, Bruce Sterling, David Chalmers, Phil Husbands, John Searle, Richard Hanley, developmental systems theorist John Smart, author Kevin Kelly, author JC Herz, author Steven Johnson, There.com founder Will Harvey, Secondlife.com director of engineering James J. Cook, inventor/entrepreneur/author Ray Kurzweil, Sims creator Will Wright, author George Gilder, Natural Evolution CEO Torstein Reil, media artist Karl “Ironic Last Name” Sims, Georgia Institute of Technology Distinguished Professor of Computing Ralph C. Merkle, University of Sussex lecturer in artificial intelligence Chris Thornton, Stanford University Consulting Professor John R. Koza, Stanford University Professor of Biology Deborah Gordon, University of Suessex Director of the Centre for Cognitive Science Ron Chrisley, MIT Media Lab Professor of Robotics Cynthia Breazeal, California Institute of Technology Professor of Cognitive and Behavioral Biology Christoph Koch, University of Oklahoma Professor of Zoology Tom Ray, artificial life scientist Chris Langton, Institute for Global Futures Senior Fellow Charles Ostman, Oxford University Professor of Philosophy Nick Bostrom, MIT Professor of Psychology Sherry Turkle, CNET Networks “Internet Court Jester” Esther Dyson, “futures thinker and scenario consultant” Hardin Tibbs, The Long Now President Stewart Brand, digital librarian Brewster Kahle, and University of Sussex Professor of AI Phil Husbands. They discuss human interaction with technology, the impact of videogames and interactive environments, virtual reality and its prospects, simulations and reality, philosophical issues connected to machinery, artificial intelligence, its restrictions and its potential, commonalities between mechanical and biological systems, feedback loops and control, the Internet, technological progression and “Moore’s Law”, computer evolution, robotics, attempts to understand the science beneath emotions, integrating these into AI and machines, and future prospects. Mostly because it didn’t deal so directly with the material in The Matrix, I didn’t get as much from “Science” as I did “Roots”. That didn’t mean it wasn’t stimulating and provocative, however. It really does live up to its title with a rich exploration of concepts connected to the science the factors into the films. It’s a subtler way to delve into the movies’ issues, but it also becomes enlightening and enjoyable. I admit I didn’t much look forward to DVD Eight’s programs, as I thought they sounded pretentious and not anything that would add to my appreciation of the movies. I was way off-base in that pre-judgment. No, we don’t learn anything directly connected to the creation of the flicks, but these programs present a great way to understand the conceptual issues connected to the stories. Next we head to DVD Nine, which comes with the title The Burly Man Chronicles. This also is the name of the disc’s main program. In the 94-minute and 33-second documentary, we find the usual mix of movie snippets, behind the scenes materials, and interviews. We get comments from visual effects supervisor John Gaeta, supervising art director Hugh Bateup, associate visual effects supervisor Janek Sirrs, wire team coordinator Lee Kun Fong, pre-vis lead artist Kyle Robinson, actors Anthony Zerbe, Cornel West, Keanu Reeves and Neil Rayment, supervising stunt coordinator RA Rondell, special effects coordinator Clay Pinney, extra drivers supervisor Tom Dryden, precision drivers Phillip Abbello, Damu Dailey and Brian C. Sampson, key grip Tony Mazzucchi, sculptor/propmaker Sean House, stunt coordinator Chad Stahelski, and second assistant director John Morse. Unlike prior programs, all these interviews come on the fly; they’re not the traditional “sit down” chats. The program starts in August 2000 with pre-production on the two sequels and it rips through those topics very rapidly; we don’t find more than quick tastes of all those elements. From there we go to the actual shoot that began in March 2001. Major portions of this area look at the first day of production, the Freeway Chase, set construction and decoration, the Burly Brawl, the Zion Temple celebration, the Chateau Fight, the Hel Nightclub, the Super Burly Brawl, Teahouse Fight, the various ships, motion capture photography, creating duplicate Smiths, Enter the Matrix videogame sequences, and a mix of other elements. All of this finishes with the last day of production in August 2002. Essentially all of this acts as a production diary. We get no narration, and as I mentioned, all of the interviews come from the participants on the set. It’s a nice look at the progression of events, though it seems rather disjointed. In a way, that’s good since it echoes the way things work. We follow the production in chronological order, and that doesn’t run things in a coherent manner. “Chronicles” makes up for this with a good “fly on the wall” feeling. It’s not one of the best pieces of its kind, but it’s consistently interesting. Throughout “Chronicles”, a “white rabbit” symbol occasionally appears onscreen. Hit “enter” and you can activate branching featurettes about the craftspeople who worked on the trilogy. Happily, the DVD doesn’t force you to watch these programs solely through the branching option. In a domain called Follow the White Rabbit, we can access all 21 featurettes individually via three separate domains. “Pre-Production” runs 32 minutes and 17 seconds through the “Play All” option. It includes seven clips about various members of the production team. Under “Alameda Shoot” (15:24), we find four more featurettes. Lastly, “Australia Shoot” (33:45) gives us 10 additional programs. Across these featurettes, we learn a lot about the work of the various folks. Anytime you see an asterisk in the following list, that means the subject also was the focus of all or part of a featurette. We get comments from key storyboard artist *Steve Skroce, conceptual artist *Geofrey Darrow, first assistant director James McTeigue, supervising art director Hugh Bateup, director of photography Bill Pope, production designer *Owen Paterson, propmaker foreman Adam Savage, art director Nancy Noblett, art director *George Hull, costume designer *Kym Barrett, weapons coordinator *Robert Galotti, US unit production manager L. Dean Jones Jr., executive producer Grant Hill, script supervisor Victoria Sullivan, visual effects supervisor John Gaeta, producer Joel Silver, construction supervisor Butch West, art director Mark W. Mansbridge, supervising stunt coordinator *RA Rondell, special effects coordinator *Clay Pinney, second unit director David Ellis, second unit director Kimble Rendall, *chef Mark Stone, makeup department head *Peter Robb-King, and actors Laurence Fishburne, Carrie-Anne Moss, *Daniel Bernhardt, *Anthony Zerbe, Harold Perrineau, Jada Pinkett-Smith, *Roy Jones Jr., *Mary Alice, *Matt McComb, *David Kilde, *Ian Bliss, *Dr. Cornel West, and Adrian and Neil Rayment. In addition to the pieces that look at specific participants, we see featurettes that cover general pre-production, the impact of September 11th as well as the deaths of cast members Aaliyah and Gloria Foster, a publicity photo shoot, and a valedictory clip. I admit I didn’t expect much from these featurettes, as I thought they might be nothing more than touchy-feely looks at the personalities behind the scenes. However, while some personal and career information pops up, the focus is on their specific work for the movies. Some excellent elements appear, such as the notes about Galotti’s weapons and the construction of the freeway. Inevitably, some of the programs are better than others, but in general, they offer a lot of useful material. Finally, DVD Ten comes with the heading The Zion Archive. Within the titular section of the disc, we find scads of materials. Normally I count the frames for this sort of piece, but there’s too much here, so for once, I’ll pass. Storyboards presents art created for 30 scenes across the three movies. Don’t expect the usual simplistic cartoons, as some of these are extremely lavish pieces. Characters offers concept drawings connected to 18 of the movie’s roles. We see various costume ideas and other depictions of these personalities. 13 of the films’ Ships get the same treatment, with more detailed art on display. Machines covers 11 mechanical elements, while Sets covers 51 locations. Some photos of finished products also appear, but the emphasis remains on the art. All of these add up to a very rich examination all of the prep work put into these components. When we head to “The Media of The Matrix”, we split into three areas, one per film. For the first movie, we get two trailers, eight TV spots, and a music video. The latter presents Marilyn Manson’s “Rock Is Dead”. Given Manson’s usual creativity, it’s a surprisingly dull clip, as it just intercuts lip-synch performance with movie clips. At least it’s a good song. In the section for Reloaded, we locate another two trailers, eight more TV spots, and one music video. The latter offers “Sleeping Awake” from POD. It’s a more inventive clip than the Manson one; it sticks with lip-synch, but it shows a real-world band and a matrix one to create a slightly more interesting sense of visuals. Too bad the song itself is terrible. Finally, the Revolutions area gives us one trailer and six TV spots. A musical montage, the Rave Reel lasts nine minutes and three seconds. It presents a collection of computer images created for the film along with some of the movies’ score. It seems pointless to me. The package ends with a Matrix Online Preview. This nine-minute and 33-second clip tells us a little about the computer game via images and comments from lead designer Toby Ragaini, writer Paul Chadwick, and producer William Westwater. They talk about the game’s story and structure. It sounds like fun, but that doesn’t make this preview anything more than a promotional piece. This package includes a booklet. This presents the same note from directors Larry and Andy Wachowski that accompanies the three movie discs. It also details the various components across all 10 DVDs. Love it or hate it, the Matrix trilogy offers an ambitious and impressive piece of work. The sequels never quite live up to the still-stunning original, but all three combine to create an inventive and intriguing world. This package presents the three movies with very strong picture and audio quality, and it adds a real onslaught of supplements. These detail the production and also get into issues of interpretation and meaning to provide a grand overview of the trilogy. Through my separate reviews of the movie DVDs, I deferred a recommendation until I finished with the Ultimate Matrix Collection boxed set as a whole. If you don’t already own the separate Matrix DVDs, I wholeheartedly advise you to get this set. If you were to get the stand-alone releases of the three movies plus Animatrix, it’d cost the same as this version, so why not grab the one with the deluxe collection of extras? If you already have the separate discs, the question becomes less clear. If you love the series and want to learn more about its creation and interpretation, definitely grab this set. It’s pricy but it’s got so much material that it’ll be worth it for a Matrix maniac. If you’re only interested in the movies themselves, though, and don’t care much about supplements, just stick with the old discs. Reloaded, Revolutions and Animatrix offer the same picture and sound quality as their prior releases, and while the new transfer of the first film improves over the original disc, it’s not such an enormous increase to merit the cost. All these caveats aside, The Ultimate Matrix Collection truly offers an impressive set. My praise comes with some complaints; the six audio commentaries across the three movies really aren’t very good, and some of the other elements don’t live up to expectations. Nonetheless, the amount of information impresses, and outside of the commentaries, most of it entertains and illuminates. This is one of the strongest DVD packages ever released.